Getting to know someone on a more personal level can be a tricky task. Not everyone wants to open up and getting certain people to talk will be more difficult than others. Therefore, to really get to know someone, it is very important to ask the right questions to not only get someone to open up but get them to answer honestly. 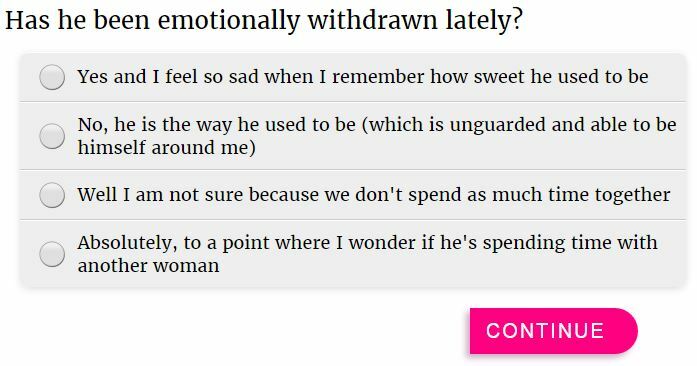 While answering these kinds of questions might be uncomfortable, it’s possible to ask them in a way so you don’t make the person shut down and emotionally withdraw. As mentioned above, the most important thing is that you elicit a completely honest response. Asking these questions can bring out some serious emotions so ask wisely. If you’re looking for some easy going banter these questions may not be the right ones to ask! After asking these questions you should know each other on much deeper, more profound level. Here are some topics I came up with that should really help in elevating your conversation and get you to know someone much better! 1. How many times have you felt so hopeless you wanted to give up on life? 2. Have you ever had any serious trouble with the law? 3. Have you or anyone you’ve known struggled with an addiction to substance? 4. What’s your biggest fear in life? 5. What’s your biggest regret? 6. What’s the most important thing that happened to you in your childhood? 7. Have you ever hated someone or something? 8. Do you think one day technology will be so advanced we may live forever? 9. Do you think humans will ever know the real reason behind existence? 10. Do you think be conscious is a blessing or a curse? 11. Do you believe in extraterrestrial life? 12. What do you think finding life other than ours in the universe will do to change our society? 13. In the future could you ever see an Orwellian universe controlled under a new world order being played out? 14. Do you think one day the earth will reach its maximum population causing the destruction of humanity? 15. Would you ever feel justified in killing someone? 16. Have you ever felt so passionately about something you would die for it? 17. Have you ever almost died before? 18. Have you ever had a close family member or a friend pass away? 19. How long do you think you’ll be remembered after your death? 21. Do you believe good people will be ultimately rewarded for their charity and sacrifices? 22. Do you believe in any sort of god? 24. In what ways do you measure the value of your life? 25. Do you think that some life has more value than others? 26. What is your final goal in life? 27. What do you think the point of life is? 28. Do you take anything for granted? 29. If you created a miracle cure would you sell it and become a billionaire or give to people for free? 30. Do you believe that true evil exists? 31. Do you believe in fate or destiny? 32. On the whole, do you find life to be fair? 33. How important do you think our lives are when we know we are such a miniscule component of the entire known universe? 34. If you had one day left to live what would you do? 35. Are you afraid of a possible forthcoming apocalypse or world war three happening in your lifetime? 36. Do you think it’s possible we are living in a virtual world like the one Elon Musk believes? 37. Have you ever felt totally alone? 38. What’s the saddest moment of your life? 39. Why are some people perfect for each other, and why are some people so toxic for each other? 40. Would you take care of your parents when you get older or would you send them to an old folks’ home? 41. Is poverty something that is innate within society or can it be solved? 42. What is the purpose of pain? 43. What is the most unnerving thing to you going on in the world today? 44. Have you ever been depressed? Just remember to take it slow, and tread softly. It’s amazing to have someone you can totally trust and be candid with, so getting used to answering questions like these comfortably can be a major benefit to any relationship. Being judgmental is the worst possible thing you can be! Even if some answers surprise you or sound ridiculous, which they may, just remember to stay cool. We don’t want to make the other person get defensive or feel like they are being questioned in a negative way. Being a great listener is imperative as well. We are only comfortable opening up when we feel the other person is genuinely listening to us and giving us cohesive answers that show they understood exactly what we said. We are all humans and we are all different and all make mistakes. No one is perfect! Just remember. Be sure to let the conversations flow naturally, be honest, pay attention, and make it a safe environment. Deep questions can only strengthen your connection and are something that must be incorporated into any serious relationship! After these questions you’ll have a much clearer picture of the person you are talking to. i’ve been waiting for this my whole life! thanks for posting this! i will absolutely keep this in mind. deep conversations give us perspective. i love asking deep questions because it allows me to understand people. it is one way to form a connection that i can’t achieve from a lighthearted talk. developing a deeper understanding with someone that you just met without getting too personal is very tricky. you have to think of good questions to ask for you to determine who your friends are and also your soulmate. i want to deepen our relationship but i don’t know how..it is not easy. i should try asking him these questions. you are really an expert in giving tips to have a happy and lasting relationship! keep up the great work! like what this post says, no one is perfect. i hate the feeling of being judged especially by someone you love. that happened to me once and i can say that it was one of my painful experience. this is the only list i’ll need! complete and very detailed. i can’t believe getting to know someone on a deeper level can be simple just by asking these questions. i fell in love with these questions! they are perfect! i just need to learn more on how to approach these questions. thanks! i love this! i tried it out and it worked! i told my friend about this and they hope it will work for them too. these are fantastic! i was looking for deep questions i could ask my partner and this article is the first i came across. i will definitely use them! yes, we should not be judgemental and also we should know the right questions to ask, so we can discover what our partner really needs and wants from us. i found this article very helpful. 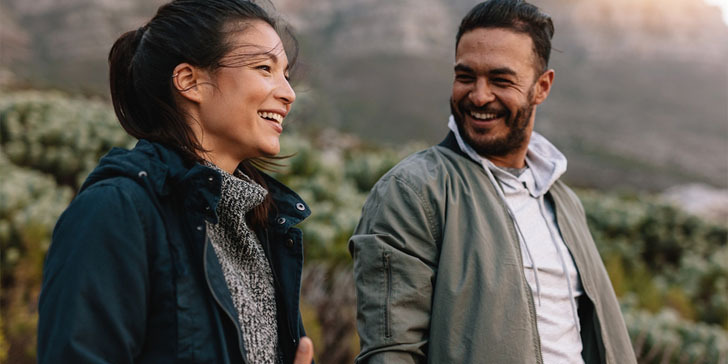 i want to develop a deeper and more meaningful relationship with my man and what i’ve learned from this post could really help me. i really want to discover things that my partner and i have in common. i am confident that these deep questions can help me with that. i am glad you shared this. these are some intense questions i could ask my love! i could ask myself some of these questions too! these questions will definitely tell mo more about my partner and not only that, it will also start a deep and very meaningful conversation. take it slow, and tread softly – i will remember this. thank you so much for the wonderful tips. your article is really helpful. well, these are nice questions but good luck if you can get an honest response from guys. i mean not all will answer truthfully. Would you ever feel justified in killing someone? – i probably wouldn’t want to ask this question to someone i just met…. i have a friend that i really want to know on a deeper level. i could use some of these questions. all your articles are really a great help. good questions! This type of question will surely bring out strong emotions. it is very important to ask them wisely. thank you so much for this amazing article! getting to know someone on a more personal level is no longer a tricky task! it is good to have questions like these that you can ask your guy to get to know him on a deeper level. i will definitely save this list. 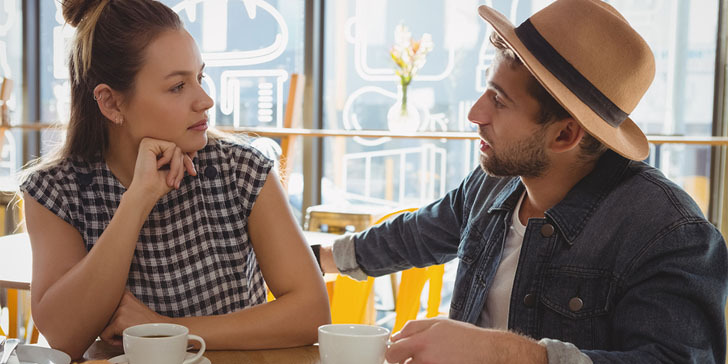 great questions!if you like someone and you want to get a glimpse into who that person is and what it is he enjoy to do, these questions can help. even if you ask your guy some of these wonderful questions but you are not genuinely listening to his answers, then he will not open up to you. just saying. my guy hates being asked questions. he said he feels being interrogated. i want to know him deeply and i should think of better ways to be able to do it. trust me… these questions can help make your relationship with your guy go to the next level. knowing him deeply is the key if you want a real relationship. thanks for sharing a very informative post like this. it is very interesting! will let my friends know about this excellent website. i am very happy i found this article. i’ve been wanting to know my guy deeply and i don’t know what to ask him. these deep questions are perfect. now, i feel confident to get to know him better. getting to know someone is really hard especially if you don’t have any idea on what to ask them. you must be prepared with good questions like these so you can get people to open up to you. great article! it will never be hard to get to know someone on a personal level with these questions. thanks for sharing!